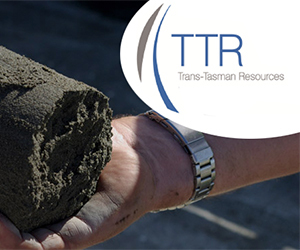 Trans-Tasman Resources Limited (TTR) lodged its second application to mine 50 million tonnes of iron sands per annum from the seabed of the South Taranaki Bight with the Environmental Protection Authority (EPA) on 23 August 2016. TTR’s first application was declined in 2014 with the EPA finding that the application was premature. TTR was put on notice that it should have taken more time to better understand the proposed operation, the receiving environment and engage more constructively with existing interests (including fishing interests). TTR’s new application ran into legal problems even before the period for making public submissions on the application had ended. This is because TTR made an application under s 158 of the Exclusive Economic Zone and Continental Shelf (Environmental Effects) Act 2012 (EEZ Act) to restrict publication of plume information that had been redacted from the application. Despite TTR’s plume information having been central to its decision to refuse consent in 2014, the EPA issued a direction on 14 September 2016 restricting the information to submitters who agreed to enter into a confidentiality agreement with TTR. TTR’s application went to hearing on 16 February 2017 and was due to close on 12 April 2017. Many of the submitters raised concerns that TTR’s application did not include any additional information on the receiving environment or the potential impacts of the proposal on the environment or existing interests. Strong evidential concerns were raised that this applied to the plume information, which the Environment Court had ordered to be made publicly available. Although the submitters’ experts conceded the plume model had been improved, there was inter alia insufficient information provided to validate TTR’s assumptions about its modelling inputs. For many submitters, including FINZ, this felt like “ground hog day” TTR 2014. Two expert plume conferencing sessions indicated that too many assumptions remained in TTR’s modelling for it to reliably predict the extent of the proposed plume. Despite this, the EPA extended the hearing timetable on 22 March to allow TTR to produce further modelling evidence and require the submitters’ experts to address that new evidence. These directions, and others, became the source of considerable procedural argument from the submitters who contended that the additional costs of the process precluded their effective participation in the hearing. In any event, after the production of considerable evidence by submitters, TTR abandoned reliance on the predictive elements of its plume model in the final days of the hearing. Instead TTR proposed conditions that fixed discharges at “end of pipe”, and restricted sediment concentrations too existing concentrations in the receiving environment. For the fisheries experts, this was all too little, and too late. TTR had not provided any substantive information on how these conditions could be satisfied. Accordingly, the fisheries submitters’ closing submissions delivered on the final day of the hearing, on 25 May 2017, continued to oppose TTR’s second application to mine iron sands in the South Taranaki Bight. The hearing was formally closed on 31 May 2017, and the EPA has 20 working days within which to make a decision. To see Closing Submissions for Fisheries Submitters dated 25 May 2017 click here. To see Kiwis Against Seabed Mining Inc v Environmental Protection Authority  NZENVC 217 (EC). click here. About the Author: Robert Makgill is an environmental, natural resources, property and public law expert. He was briefed by maritime lawyers (Dawson & Associates), after TTR’s application was publicly notified in August, to represent Fisheries Inshore New Zealand Limited, and a range of commercial fishing interests including Talley’s Group Limited. He has led numerous property development, infrastructure and natural resource projects through the planning and approval process, and has extensive experience representing clients in relation to legislative and regulatory change at both central and local government levels.